Our perfect day out ends with us all tired from the fresh air, the munchkin is asleep on the back seat, we’re all pink cheeked from running around, from the sunshine or the cold. Our perfect day out is when we’ve had to change shoes or clothes or both, we always take a spare of everything no matter the weather. We’ve had to layer up or take layers off. When everything is covered in sand or mud or grass or something we’re not too sure what it is. Our perfect day out is when our pockets or buckets or my bag are filled with shells, rocks, grass, sticks, leaves and bugs. Treasures to take home. 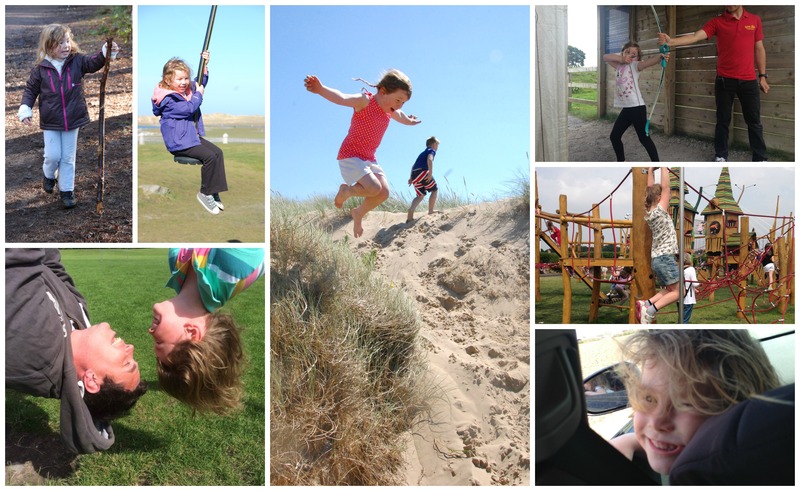 Our perfect day out is walking through woods, smelling flowers, building a sandcastle, climbing over styles, splashing in muddy puddles, jumping from sand dunes, rolling down hills, swinging very high, feeling the sand or grass between our toes. 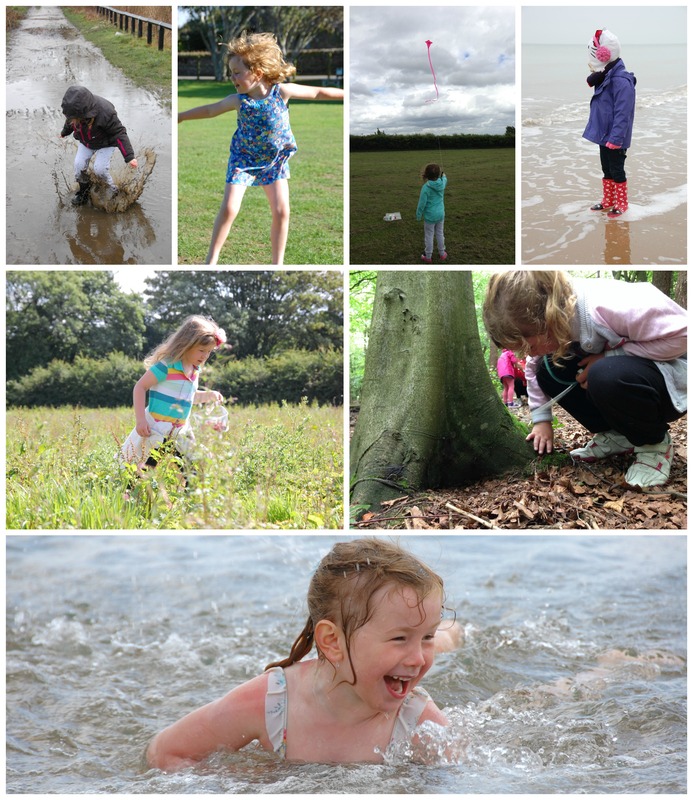 Our perfect day is being outside, it’s adventure and exploring, running, jumping, falling, fresh air and nature. It’s sitting with a picnic on a rug, drinking weak tea from a flask, ice creams as a treat. Our perfect day is fun, smiles, laughter and happiness. It’s being together as a family and making memories. Thank you so much for your entry into the competition. I love it when they are pink cheeked too.